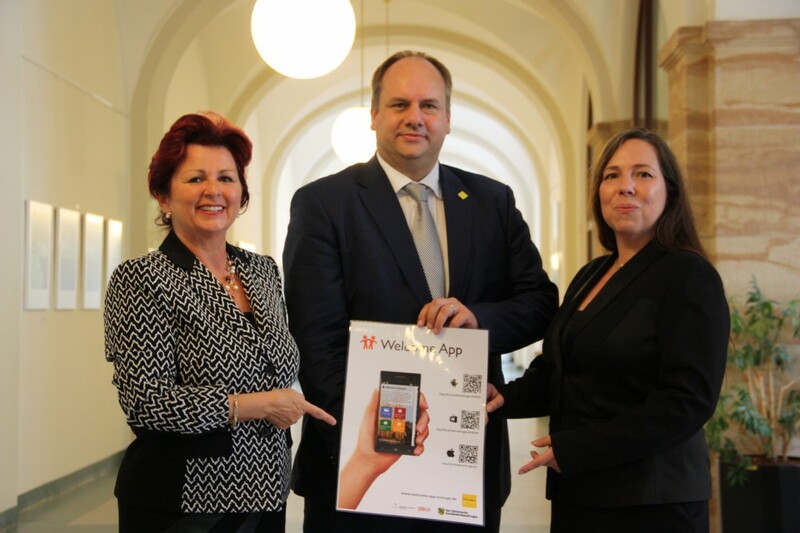 In the town hall to Dresden we presented the welcome app Dresden of the city and the Mayor Dirk Hilbert in a press conference there specially organised. There had been a certain charm. Viola, Andrew, and Hendrik were present from us on the part of Saxonia systems AG. HeiReS – the Heinrich & Reuter Solutions GmbH – were Peggy, Lars and Antje suburb. Yes before, we were able to enjoy the media coverage to the app. But now such venerable halls there was something else. The OB has during the press conference of the city very appreciated our commitment to the refugees in Dresden, as well as the reputation and promised us full support in promoting the initiative. We are pleased with this press conference to have a first big step of success within the framework of the welcome app.